The General Assembly this afternoon recognized the International Day of Nowruz, a spring festival of Persian origin, and moved back the dates of the next high-level dialogue on Financing for Development, as it continued its sixty-fourth session. According to the preamble of the resolution on the International Day (document A/64/L.30/Rev.2), Nowruz, which means new day, is celebrated on 21 March, the day of the vernal equinox, by more than 300 million people worldwide as the beginning of the new year. It has been celebrated for over 3,000 years in the Balkans, the Black Sea Basin, the Caucasus, Central Asia, the Middle East and other regions. The Assembly called on Member States that celebrate the festival to study its history and traditions with a view to disseminating that knowledge among the international community and organizing annual commemoration events. 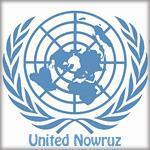 Welcoming the inclusion of Nowruz into the Representative List of the Intangible Cultural Heritage of Humanity by the United Nations Educational, Scientific and Cultural Organization (UNESCO) on 30 September 2009, the text notes the festival’s “affirmation of life in harmony with nature, the awareness of the inseparable link between constructive labour and natural cycles of renewal and the solicitous and respectful attitude towards natural sources of life”. The text was introduced by Azerbaijan’s representative, who said that, as a holiday celebrated in many parts of the world with themes important to all humanity, Nowruz encouraged intercultural dialogue and understanding. Speaking after the Assembly took action on the draft, the representative of Iran marked its adoption by quoting lines of the Persian poet Jalaluddin Rumi that expressed the holiday’s theme of rebirth “on our planet and in our souls”.